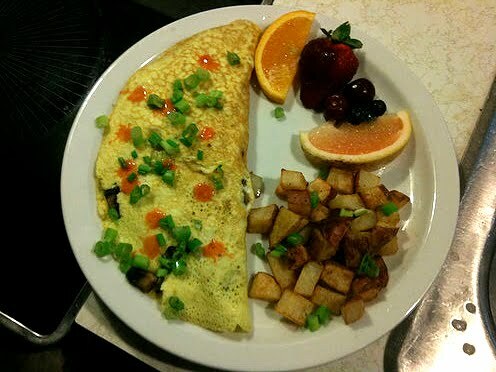 Portabella mushroom, onion, cheese omlette with roasted red potatoes and fruit. Nice. just preordered iPhone 4. Sweet.